City Theatrical and Barbizon Lighting will be hosting workshops featuring LED tape and Wireless DMX on February 10th at the Barbizon store in Alexandria, VA on February 10th. Entry is free but we ask that you RSVP here. This entry was posted in Event, Training and tagged led tape, wireless dmx on January 3, 2017 by jeremiah brophy. Details- Demonstration and hands on time with the following video gear- large venue projectors, media servers (Pandora’s Box), and mapping and editing software. This entry was posted in Event, Training and tagged quince, usitt on November 6, 2016 by jeremiah brophy. We have another confirmed event! 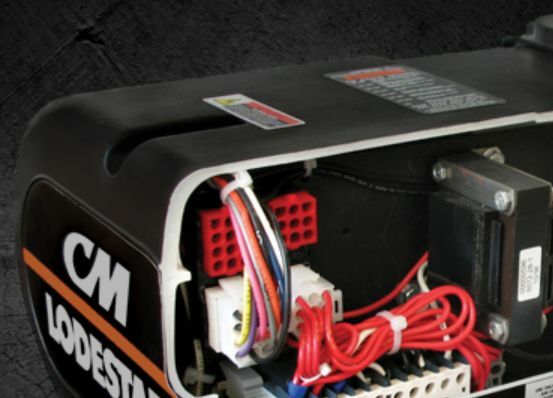 Over 2 days learn the ins and outs (pun intended) of how a CM motor works, how to troubleshoot, disassemble, reassemble and other functions of their most popular motors. More details to follow in the coming weeks. Cost as of this release- free to all Chesapeake section members. Attendance is limited to 11 members so first come first served. Time counts toward ETCP recertification. Please contact me to RSVP by July 1. This entry was posted in Road technician certification on May 5, 2016 by jeremiah brophy. USITT-Chesapeake will be sponsoring a booth at EDX 2016 this year. The event is June 23rd from 9am – 5pm and will be at the APGFCU Arena at Harford Community College. 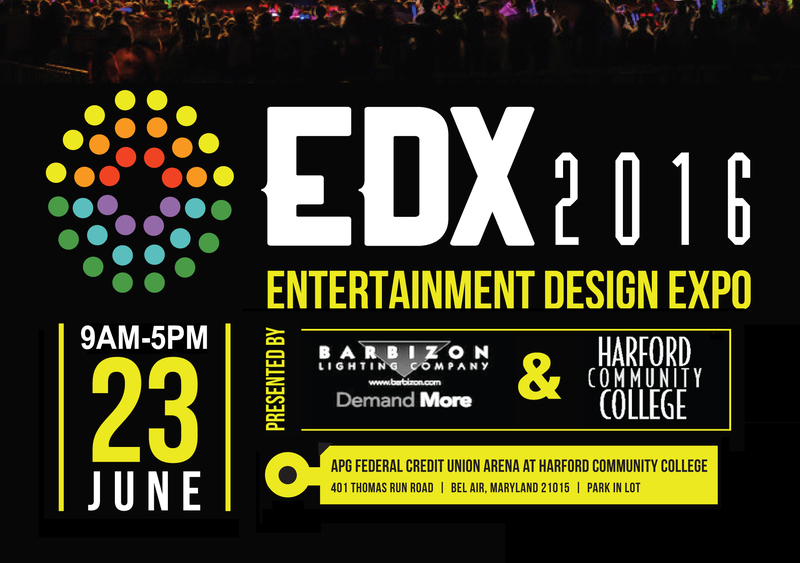 This entry was posted in Event, USITT and tagged adj, apg federal credit union arena, barbizon capitol, edx, elation, harford community college, martin lighting on May 3, 2016 by jeremiah brophy. CM motor school update. We now have dates, July 23-24 it’s 2 full days. Location, number of slots and specific content still TBD. Once this is finalized an email will be sent to active Chesapeake members. If you want a slot, please join the section. This entry was posted in Road technician certification and tagged chain motor, rigging, usitt, usitt chesapeake on May 3, 2016 by jeremiah brophy. Taking a rigging certification exam or just want to brush up on your rigging math? Delbert Hall, ETCP Certified Rigger and the author of Rigging Math Made Simple, will teach how to: convert between imperial and metric, calculate shock loads, calculate resultant forces and solve many common bridle and truss problems. Bring a scientific calculator (TI-30XA recommended) and learn some tricks for making rigging math simple. Cost is only $65 for members. Space is limited and you MUST pre-register with Jeremiah at jbrophy@barbizon.com. This entry was posted in Road technician certification on December 28, 2015 by jeremiah brophy. Radford University is hosting this year’s annual Virginia Thespian Conference January 29th and 30th, 2016 and we’re looking for a couple of folks to be the face of USITT in the region. If you’re interested, email Jeremiah at jbrophy@barbizon.com and I’ll get you some details. This entry was posted in Road technician certification and tagged usitt, virginia thespians on November 25, 2015 by jeremiah brophy. Applications for the next funding cycle are due November 15, 2015. Previous applications not yet funded will be retained & automatically considered in the next cycle. The RSI is open to all secondary schools (middle schools and high schools) nationwide. Once a school’s application is approved, they choose from a list of participating ETCP certified rigging inspectors in their area. USITT pays the inspector directly for the inspection and four to six hours of safety training for faculty and student stage crew. The only cost to schools may be the inspector’s travel and housing — if necessary — and any special equipment such as a lift to access the system. This entry was posted in Road technician certification and tagged etc, rigging initiative, usitt on November 12, 2015 by jeremiah brophy.